Investors often consider buying a property the goal of their business. When you buy property, though, you always have to think about your exit strategy. I recommend that investors consider an exit strategy in five years’ time. You can own a building or condos forever if you wish, but you should always consider worst-case scenarios. It seems contrary to common sense, but investors make their profit in real estate when they buy property, not when they sell. That obviously affects your decision to buy a property. For instance, even if you can buy properties in rural areas with good financing and good yield, those properties are usually difficult to get out of. So savvy investors always think about exit strategies. Places like Tokushima on the island Shikoku—which I mentioned in the last chapter—could offer a good yield and good financing now, but maybe in five years’ time nobody’s financing or nobody’s living there because the population is shrinking. Buying a solid property is imperative, and decides maybe eighty percent of the actual result of lifetime investment. In the balance, twenty percent always comes from the exit strategy, so you always have to think about that twenty percent of your investment journey. Monthly cash flow is also a crucial element. Obviously you don’t want to buy property that does not create monthly cash flow. 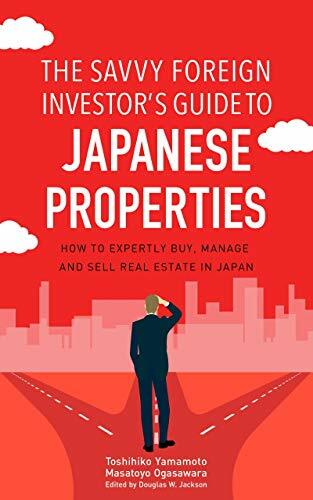 In Japan, a condo or apartment building can create income gain, which is cash flow plus capital gain. You want to find properties that create enough cash flow and also appreciate in value in five years’ time, which is a win-win. Normally you can’t get information about cash flow from the current owners. You have to make your own forecast, which is actually not very difficult because rental prices are widely available online.